Light Bullet is an ability that Dispo has been shown to display in the Tournament of Power. It is an anime only ability. According to Top, Dispo is a warrior who surpassed the speed of sound and light through repeated battles. Dispo himself has also stated that when he uses this ability, he speeds up thousands of times faster than his regular speed. Champa and the two Omni Kings were unable to see his movements, with Vados saying she was only able to catch a glimpse of Dispo's movements. When this ability is active, Dispo is followed by red afterimages. With this ability, coupled with Dispo's enhanced hearing, it allows him to properly counter Hit's Time-Skip and put Hit on the defensive. Goku also states his ability is troublesome, even when in his Super Saiyan God form. However, a weakness that Goku exploits is that Dispo's movements with Light Bullet are very linear and easy to predict, so no matter how much faster he is, Goku would be able to counter the movement in time. Hit was also able to counter Dispo's Light Bullet by tricking him into thinking he was using his Time-Skip, when in reality, all he was doing was copying his muscle vibrations, allowing him to use Time-Skip without being countered by confusing Dispo. Against final form Frieza, Dispo uses Light Bullet once more. However, Frieza sees through the attack and notes that it will not work in him. Using the afterimages produced by this technique as cover, Dispo attempts to attack with a Cannon Maximum, but his hand is grabbed by Frieza's tail. Dispo continues to use his Light Bullet, increasing his speed even further than before, but once Frieza becomes True Golden Frieza, he becomes even faster than Dispo's Light Bullet, forcing Dispo to use his Super Maximum Light Speed Mode. 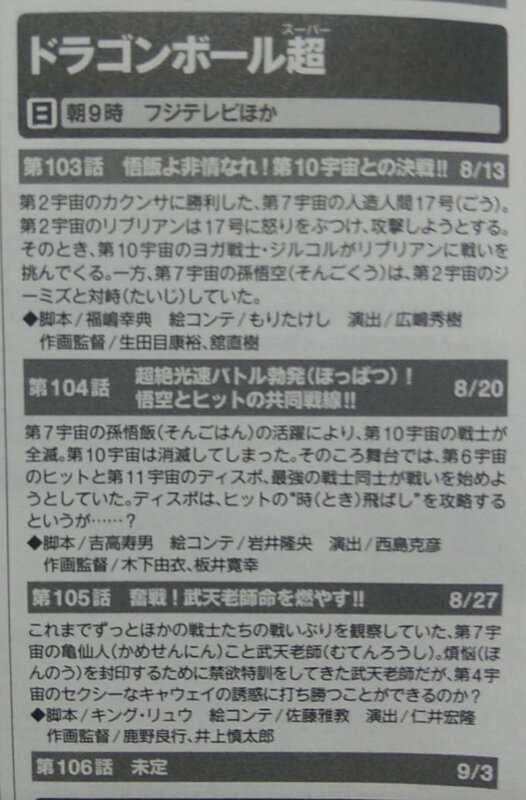 ↑ Ep.103/104/105 descriptions. pbs.twimg (2017).